New IEA report reveals a striking resemblance between the path electric vehicle penetration is currently on, and the path solar PV has been charting. We know about the global solar PV growth curve, but what about the EV curve? 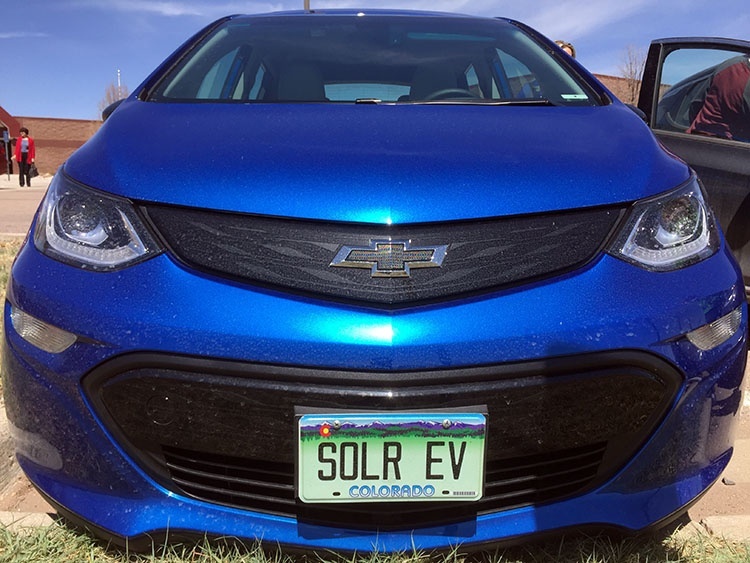 Turns out, the path that electric vehicle penetration is currently on looks strikingly like the remarkable path solar has been charting – and perhaps not without reason. In its latest snapshot of the global PV market – the Photovoltaic Power Systems Program, or PVPS – the International Energy Agency included the above chart, which shows an interesting symmetry between the two game-changing, low-carbon technologies. And while the report notes that the link between PV development and EVs is “not yet straightforward,” the IEA says it could emerge as a reality – and rapidly. That’s because, the arrival of one – cheaper and more abundant solar PV – works to facilitates the unstoppable rise of the other: renewable energy charged battery electric vehicles. And before you know it, PV and EVs are in lock-step. “To charge electric vehicles during work hours, the need for additional energy sources will become a key, while concepts such as virtual self-consumption will rapidly get the favours of many,” the report says. “The accelerated development of the EV market could be compared to the development of the PV market, with similar penetrations. I reckon the curves are too flat. I think we will see a rapid growth over the next couple of years, the ICE makers are scrambling. Effectively doubling every 15~18 months. Considering the average IQ of Australians I do not expect a fast take up of EV. Yes Australia was one of the fastest to take up other technology; however this is something that most intelligent people do not use. So I expect a slow take up. Because not exactly sharpest mind in the world. I think the same people who have put solar on their roof are all potential customers. Second hand car prices are starting to reduce already I think. This coupled with a lot of propaganda about the safety of second hand cars is pointing people to new vehicles. Most EV’s now have a range exceeding 300km. It just make sense to have your city runabout electric. For example, I have driven my diesel VW about 70kms today. That works out at about $8 in fuel, or for an EV, 50cents or nothing with solar panels. Even the bluntest of minds would recognise the economic benefits. probably these decisions will be made on cost rather than deep green thought . So if the big car makes stop producing fueled cars or the price of fuel goes too high we will all embrace e cars. Australians are slow to take up new tech initially, but that 10%-90% zone leaps up very quickly. Look at mobile phones, smart phones and now solar panels. I can’t remember the name of it but it’s called something like the “Neighbour Principle,” where people don’t necessarily adopt things because they are a good idea, or the economics make sense, but just because enough of their neighbours have them. It’s not a reason I like to use to guide my major purchases! The real issue in Australia is we just don’t have a fleet of vehicles available to buy at a reasonable price. Assuming we have about 35% rooftop solar penetration, and if the FiTs start dropping because of high supply, people are going to look for ways to store their energy. An electric car makes a lot of sense. Yes, like VCR’s and mobile phones, Aussies can’t be stopped when it comes to uptake. It takes a while for people to catch on, but when they do they really do. Solar will soon be the norm, not the exception. Blue roofs everywhere. People are really catching on to solar now. When the price is right everybody’s on board. Teslas are an exceptional vehicle, for many reasons, but the price point, -at least for now- is a bit out of reach for most. Battery cost is critical and likely to plummet as new tech finds cheaper options. Lots is being invested in this area. As soon as electric cars are around the 20-30k mark the ICE will be abandoned. Low range 120km? cars without lots of bells and whistles would be very affordable. I’m betting there’s a few coming soon. And luckily, there’s not a lot the FF guys can do about it. Yep I’m getting solar panels on the roof next week for 3 reasons. My money will make more money on the roof than in the bank, ( and that isnt taxable ) I don’t want to be totally at the mercy of the coal generators any more and its a small contribution to reducing carbon emisions. Thanks Roger, I tell people if they got all their coal delivered it would make quite a pile. Congrats on the solar! Solar panels are a little different from EV regarding their up take in Australia. For one solar panels are very scalable requiring an entry level of 1.5 KW to over 30 KW of panels, secondly these have enjoyed government support and subsidy from the beginning of the home solar movement. Solar panels are fairly simple devises and factories are relatively – for the Chinese anyway – simple to set up. EV are highly involved technologies with numerous parts , not that easy to set up a factory. Silicon and other raw materials for solar panels are abundant whereas lithium and cobalt supplies are constrained. Solar panel manufacture had very little competition from established energy sources but EV have a long history of resistance and competition from the oil and ICE vehicle industries. The one manufacturer of EV that has driven the EV industry , Tesla, is in dire straits at present and the whole uptake of EV in place of ICE is still threatened by Tesla’s situation . Chinese manufacturers and reluctant European marquees are starting to move their sorry butts, however, they could easily relapse to ICE use if Tesla fails. Actually EVs are significantly simpler vehicles to build (Tesla’s learning curve aside) than ICEs. An electric engine is exceptionally straight forward to manufacture and requires a fraction of the servicing required by an ICE. Perhaps due to the significantly fewer number of parts in an EV vs ICE is why Musk & Co thought they’d be able to ramp production up so rapidly. Never assume! Production line efficiency is truly an art form. The exact layout of the components required for each action can see a time and cost saving of anywhere from 0.3% to 1.7% for each. Musk should have hired one of the early ‘guns’ involved in Toyota’s optimization of production lines in the late 1990s which saw them cut some production times by close to 1/3, man hours by 40% and error/fix rates by 75%. Simple changes such as decreasing the size of the lip of the container for parts of a particular weight (or size) shaved (over the entire production line for the Camry) 3% off production time as the robot arm did not need to dip/raise as much. Seems obvious after the event doesn’t it. Where Toyota lost the plot was in thinking that there was no end to the possible savings in costs and time. Luckily Tesla is semi-stone age in their apparent understanding of this art form. Even more luckily (we hope) is that Elon can admit his mistakes. Now where are those production line efficiency experts from Toyota again? Many were used in the early US transplants when the US Govt threatened tarriffs on non-US produced cars. Ian. I agree that EV’s are easier to build than ICE vehicles, but significantly harder than pv panels. The real question is the volume of critical rare earths available. (not actually rare but very difficult to obtain economically, with very long lead times). Significantly bigger issue than lithium or cobalt. Even Tesla has shifted from induction motors to Rare Earth Permanent Magnet motors, to achieve weight / performance. They (Tesla) were not impressed when i suggested they needed to change the name of the Company to reflect the change away from Nikola Tesla’s induction technology! But Tesla brought in many very experienced automotive teams. The difficulty is mgt pushing regular (6 weekly) changes to manufacturing processes which does not support efficiency improvements. PV panels are actually much harder to build than EVs. I could build an EV in my backyard; I couldn’t do that with a PV panel, which requires a cleanroom like a semiconductor factory. Don’t worry about “rare earths” (lanthanides). Tesla can always go back to induction motors, which don’t use ’em. All the above comments are excellent. Just wanted to point out that EV’s will not dominate the market without heroic actions like Musk’s, and significant support from governments. There is a very difficult hump to get over before this technology takes off. We really need well targeted subsidies to get the EV market going. Assuming the cost to manufacture an EV is the same or cheaper than the equivalent ICE, given it has simpler components – all barring the battery pack, then we can say the price differential between ICE and EV is purely the cost of the battery pack and the marketing costing strategy. OEM battery prices are apparently at the $250/kWh range ie for a 40kWh battery pack $10000. This cost does not cover all the difference in price between ICE and EV, the rest must be profit margins. A decent subsidy would close the gap between ICE and EV, making these more palatable for car buyers and thus encouraging manufacturers to take us seriously. I can assist a little more in explaining the economics. — EVs currently lack the economies of scale of ICE production. They have to be produced in comparably large numbers to get the same economies of scale; this is keeping their prices higher. This is one thing which Tesla is trying to fix. — EVs have to fund new factories (depreciation, etc.). ICE cars often don’t, since a lot of the factories are old and fully depreciated. This is again a financial advantage for ICE cars. This creates the “hump”. In photovoltaics, we’re witnessing something similar — it’s now always cheaper to install photovoltaics than to build a *new* coal plant or a *new* nuclear plant, but the *old*, fully-depreciated, paid-off coal plants and nuclear plants often have a financial advantage (until something expensive breaks). 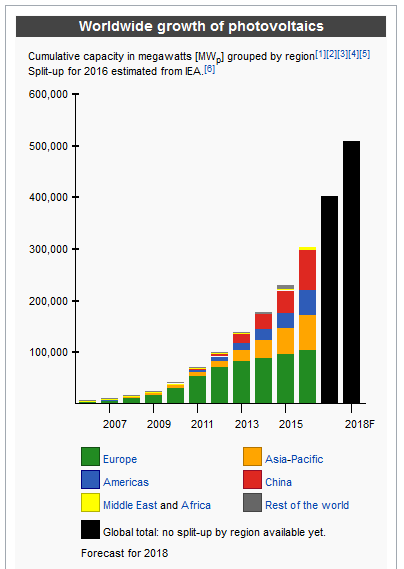 When EVs reach some kind of tipping point in the global economy where there’s no going back (to ICEs), the big ICE vehicle manufacturers will surely convert their existing ICE production lines to EV production lines, giving a large and almost instant boost to EV economies of scale. NO they will not because they make more money out of supplying the parts for the pathetic vehicles and service to them than selling them. That’s part of the appeal of EVs that will only bring the tipping point sooner – EVs don’t need the $500 glorified grease and oil changes every X kilometres that ICEs do. Talking about Coal Plants versus solar and wind with PHES they beat coal plants even at down written prices of Coal Plants why? Because of lower cost of maintenance for Solar and Wind and PHES it is a given no FF Plant can compete with the figures for the Technology. As i see it and anyone who has looked at the cost of production has seen it the way forward is to use Solar Wind and PHES as much as possible to reduce the cost of power to everyone. There are several Chinese manufacturers who are in good positions too: BYD and Geely in particular, with BAIC being a serious possibility too. The oil and ICE vehicle industries can’t actually compete any more, so they’ve resorted to dishonest propaganda and mudslinging; you may recognize the tactics from the LNP and the coal barons. Yes, Musk is a diversified future focused investor, electric vehicles, household batteries, solar panels, solar tiles, Space X, if one division is in trouble, another might be booming. Future focused investors, not unsurprisingly have greater potential, than past focused investors, especially when they’re diversified. As to the Chinese, Hainan Island, is going to ban non electric vehicles, think of the quiet, clean air, lower health costs, from lower cancer rates and noise stress. Get on a high speed train and go to Hainando for a holiday, without the rattling, stink machines, half of the worlds solar panels, are consumed in China. With a booming economy, they’ve sniffed the wind, soot and smog, is not where they want to be. Wow. Thanks for mentioning the upcoming ban on gasoline on Hainan Island. So straightforward. Yet so many have so much trouble understanding them. Large scale uptake of Ev’s will be all about cost and that means sub 30k prices for medium and small sedans. A big driver can be commercial vehicles and this segment still needs development in the west by the looks of things. One thing I read here in a different article really needs to be talked about more and that is the real costs and electricity use involved in refining petrol. Its a real double whammy in environmental terms to stop burning petrol and thereby reducing the amount refined using coal or gas generated electiricty. This awareness could push more people over the line who don’t have solar panels. Commercial vehicles and also government. Tasmania which has a very clean electricity grid has a great opportunity to reduce emissions in the transport sector with wholesale switching to EVs. ‘Range anxiety’ not an issue for them either. In 2016, global solar electricity production was some 333TWh out of 24,815TWh total electricity generation. That’s 1.3% of the total. Given that the stock of motor vehicles is probably at least 10 years, 1.5% of production is just 0.15% of the vehicle fleet. There’s a very long way to go. Exponential growth, as the above two curves suggest, usually delivers “a very long way to go” in a rather short timeframe. If you look at the figures for solar you will find that it isn’t exponential growth: the growth rate is slowing. You can see the blue line in the chart at the top of the page, right? Which is the solar growth rate accelerating. You might need to uninstall the Lord Monckton add-on in your browser to see it. Sure, but Germany is only about 2% of all new solar. Most of the new solar is happening in China, the US, Japan and India. Put it this way, 90% of solar growth is happening in non-European countries. Germany accounted for some 13.7% of all solar installations at the end of 2016 (indeed in 2014 it was still the country with the largest amount of solar installed worldwide), and it saw compound annual growth of over 30% in the preceding decade. That has come to a shuddering halt. Much the same will happen elsewhere. 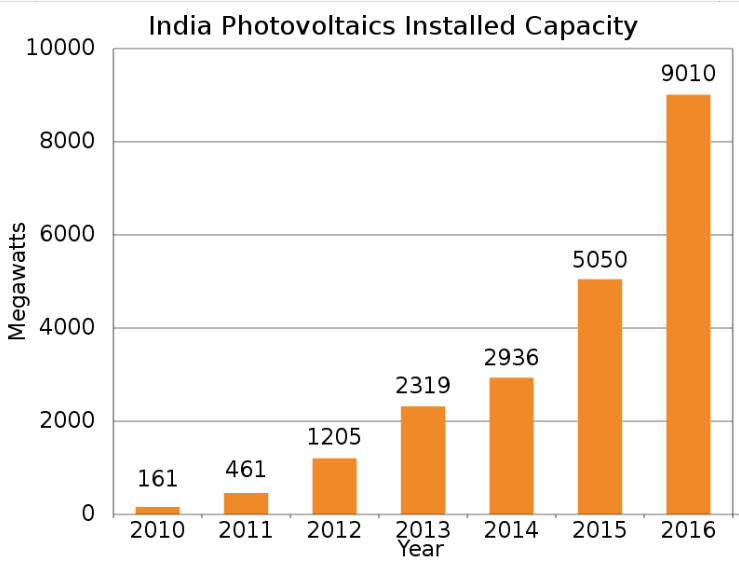 Clearly China, India and others have since taken up the baton of solar growth with gusto. It’s a brilliant effort by Germany to install as much solar as they’ve done thus far, seeing as their winters don’t exactly have abundant sunlight (the south of Germany is 7 degrees further away from the equator than the north of Tasmania). 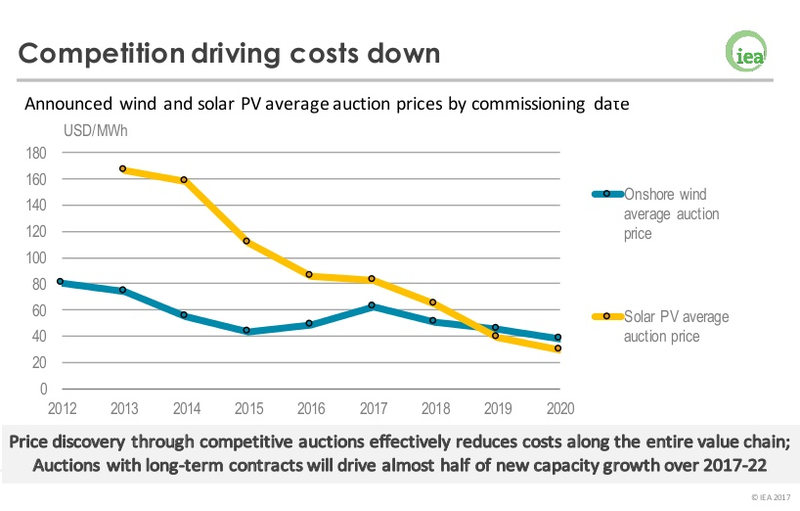 It’s just that some generous solar subsidies have come to an end in Germany, so it’s a pause rather than end to solar growth in Germany until the unsubsidised price catches up. Give it a year or two and the relentless drop in global solar prices will kickstart the second phase of Germany’s solar boom. 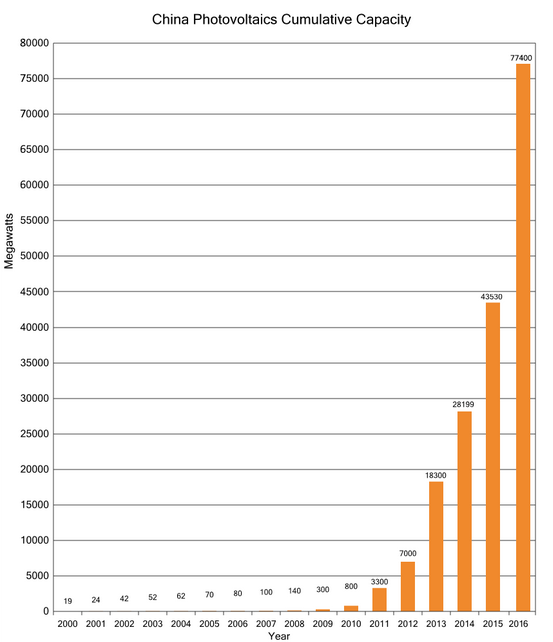 The solar growth rate is, in fact, accelerating, if you look at the worldwide numbers. It’s hyperexponential. There’s a curious phenomenon where the solar growth moves around from country to country — presumably as obstacles appear in one country, the panels are diverted to a different country with better policies — so you can’t really look at individual countries to see the trend.